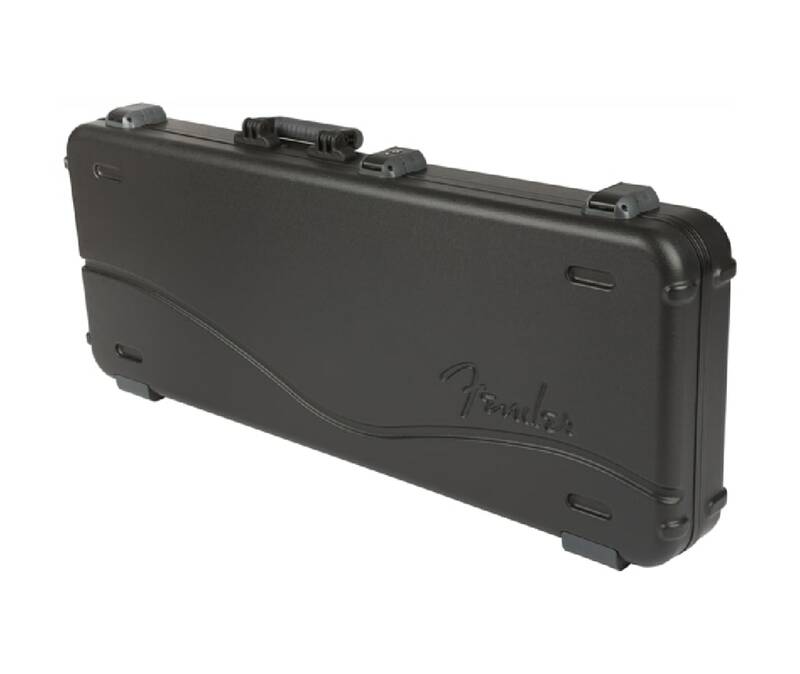 Transport and store your Stratocaster or Telecaster guitar in style with this deluxe molded case, designed specifically for your instrument. Combining advanced materials with a new nested stacking design and TSA-approved locking center latch, this case will help your guitar arrive at its destination unharmed. From the rock-solid military-grade outer shell to the comfortable handle (designed with feedback from our users) and high-grade plush interior lining, every element of this case has been engineered to create the ultimate in instrument protection. The large interior center pocket is the perfect place to stash accessories like picks, cable and straps, while helping to stabilize the neck during transport. Thanks to the rubberized feet on the hinged edge, you can enjoy additional stability - no more worrying about your case tipping over when you set it down.